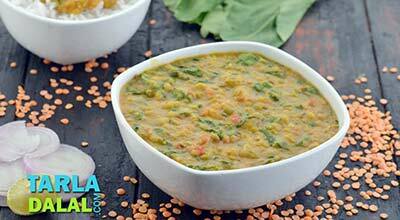 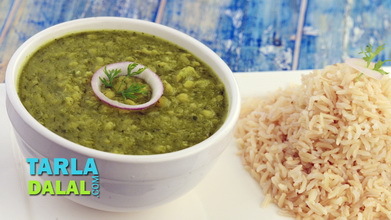 Wash all the dals together, salt and 1½ cups of water, mix well and pressure cook for 2 whistles. 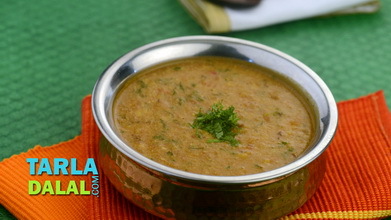 Heat the ghee in a deep non-stick kadhai, add the onions and sauté on a medium flame for 1 to 2 minutes. 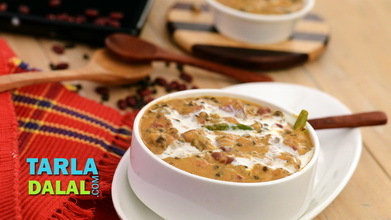 Add the prepared paste and sauté on a medium flame for another 1 to 2 minutes. 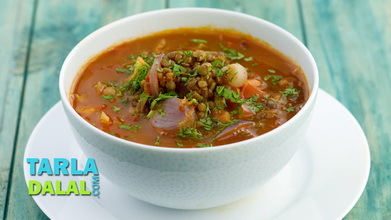 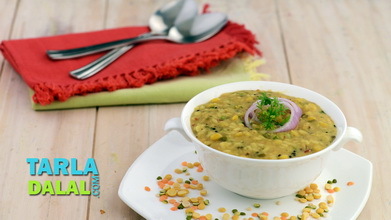 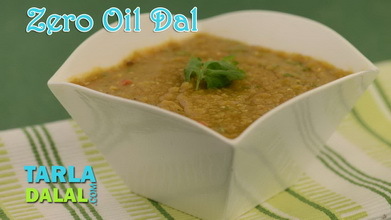 Add the cooked dal and salt, mix well and cook on a medium flame for 4 to 5 minutes, while stirring occasionally. 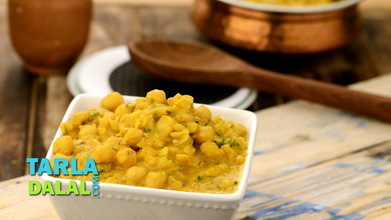 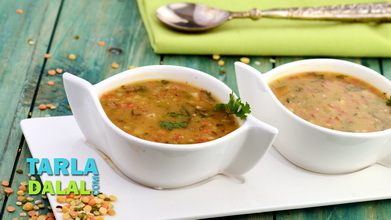 Garnish with coriander and serve hot with rice or parathas.